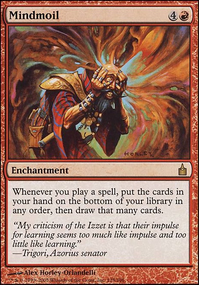 Do multiple copies of mind's dilation multiply the effect? Brainstorm , Mind's Dilation , Bear Umbra , and Villainous Wealth added. Someone may change Villainous Wealth to another card if they desire. Should add Brainstorm and Mind's Dilation . Maybe throw in a Villainous Wealth . And get that Bear Umbra in there. 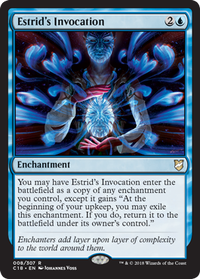 Have you tested Mind's Dilation with this deck? I wonder if it's a useful card. Cryptolith Fragment Flip and the 3 Cluestones - I'd opt for the Talismans instead (e.g. 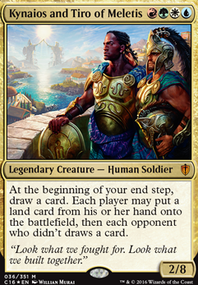 Talisman of Dominance since the hit the battlefield 1 turn earlier and doesn't ETB tapped (in the case of Fragment). Baneful Omen and Mind's Dilation are both fun cards but don't usually win you games. I'd add a few more Counterspells to protect Yennett or Tutors/Card Draws to quickly reach your key cards. Sigiled Starfish - Scry 1 ain't as impactful if the intent is to help manipulate the top of your library. I'd play Scroll Rack if you've access to the card. 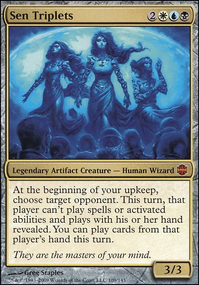 Penance is also a great hidden gem as it allows you to return bombs you drew from your hand to the top of the library for Yennett to do her magic. 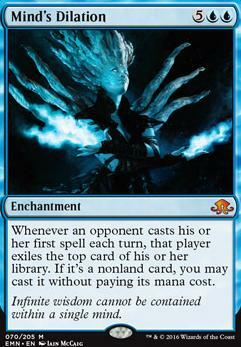 Aqueous Form - Am assuming the intent is to enchant Yennett with this. However, with Flying and Menace, most players will have difficulty blocking her. Once again, Scry 1 doesn't allow you to dig deep into the top of your library. My humble 2 cents, hope these helps. While we took the deck in a different direction, you can check out some of my card choices as well. Cheers. Right that's what I thought although I am feeling a bit more comfy on the mana side of thngs in Circu since adding Grim Monolith . My current problem is life total though as everyone seems to hate out the deck (even though I honestly think it's not that good and tell people so) so I'm a little afraid to run things like mana vault and crypt as I very often find myself beaten to 8 life on turn 5. What are your thoughts on Mind's Dilation and Painful Quandary ? 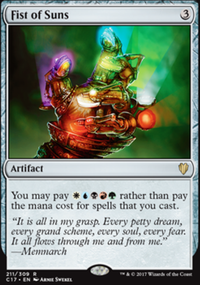 I'm looking for alt wincons in the prison build as isorev and labman consultation are easy to disrupt with counterspells and things like Praetor's Grasp .